Multinautic<sup></sup>, Your Canadian Dock Specialist since 1974! This Floating Wood Dock Kit offers you multi-purpose configuration options (L-T-U-I) in Dock sections and the following dimensions 8 x 12 or 6 x 16 or 10 x 10 best suited to your needs. 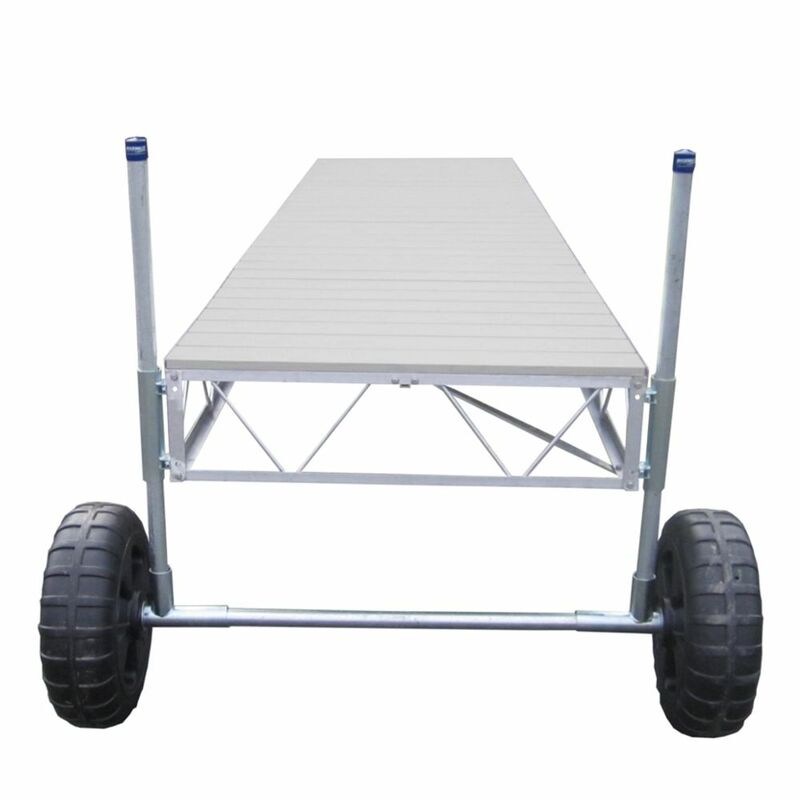 Each Dock Section includes the necessary Galvanized Steel Hardware, Fasteners and 6x Polyethylene Commercial Floats to assure stability with a Medium Freeboard. It also includes a plan and easy to follow assembly instructions. Note, wood is not included. This Dock can be installed as an addition to an existing Dock. This kit is affordable and easy to build whether youre a handyman or not! The result is a good looking, long lasting Dock that will resist the weather conditions of the North American climate. 32 ft. Straight Roll-In Dock with Gray Aluminum Decking Patriot modular aluminum marine docks provide the ultimate in shoreline enjoyment. Our 12-inch deep aluminum truss frames are expertly crafted with welded and bolted connections. We use 7/16 inch diameter aluminum chord rods, not 3/8 inch like most of our competitors. Pipe is all 1-1/2 inch schedule 40 electro-galvanized steel, not lighter weight steel tubing. Our pipe brackets are extra long with two - not one - stainless steel set bolts.